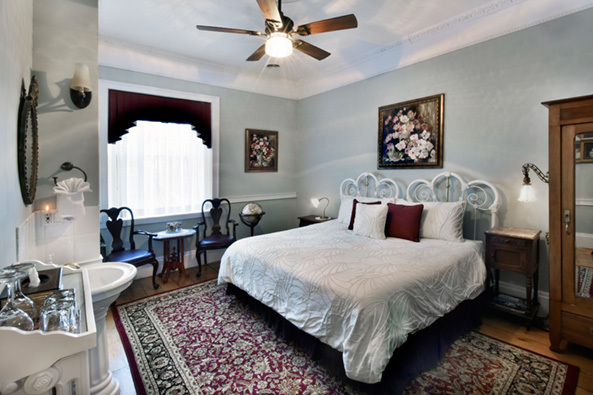 The Sister Charlotte room features a King size white enameled brass bed that can be converted to two twin size beds. The room is decorated in appealing Georgian style. 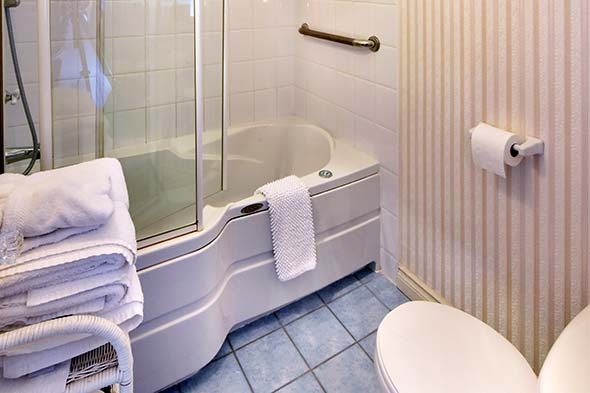 Fireplace; hair dryer, LCD flat screen television; private Jacuzzi bath & shower ensuite with heated tile floor complete the rooms amenities.